Many communities in TX and around the US are seeing their energy costs increase; sometimes dramatically. 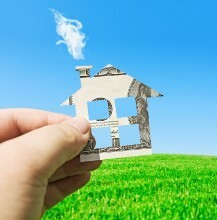 Whether you are energy conscious or just trying to save money, there are many steps you can take to lower your Houston home bills while helping the environment at the same time. Below are several energy-saving measures to help you save money either in your current house or future residence. Keeping your home at a comfortable temperature uses more energy than anything else. To save energy, install a programmable thermostat to adjust the inside temperature when you are not there for long periods of time. Seal windows and doors to prevent air leaks, and close doors and air vents to rooms that are not often used. Changing filters in your heating system monthly can also help it run more efficiently, with the added bonus of increasing the air quality in your home. Heating water is usually the second highest energy expense. To cut costs, set the hot water heater at 120 degrees Fahrenheit or lower. Wrap older hot water heaters with an insulation jacket and insulate the piping leaving the water heater to prevent heat loss. Invest in appliances with the ENERGY STAR® rating. These appliances use less energy to run and will save money. Cleaning the coils on the back of your refrigerator will help it run more efficiently. Washing full loads of clothes on cooler settings and keeping your dryer vent clean will also save on energy costs. Besides turning lights out when leaving a room, use compact fluorescent light bulbs (CFLs). These bulbs use less energy and can last 10 times longer than incandescent bulbs. Improperly insulated houses mean high energy costs. If the attic is easily accessible, check and replace insufficient insulation to keep your living space at a more comfortable temperature. By making energy-efficient choices you can save electricity without giving up the comforts of home. Plus, with a little extra effort these simple tips might add more money to your month as well! Paying off the mortgage on your Houston home faster not only means that you’ll be able to enjoy the peace of mind that comes with completely owning your property sooner, but you may also save thousands of dollars in mortgage interest payments over time. Below are seven clever tips to help you get your mortgage payments on the fast track. Make as large of a down payment as you can reasonably afford. The more cash you can put down, the less you’ll have to borrow from the bank. This will reduce your monthly mortgage obligation. When you are choosing a mortgage, ask your lender if there are restrictions related to paying extra principal monthly. Some lenders will charge you for making extra or early payments. The early years of a mortgage are interest-heavy. On a 30-year mortgage, throughout the first five to seven years, you payments are mostly interest. Request an amortization schedule of your mortgage to get a clear picture of how this works. If you get an unexpected chunk of cash, such as a gift, prize, work bonus, inheritance, tax refund or other windfall, consider applying it directly toward paying down the principal on your mortgage. When you make extra payments, ensure that they are processed correctly. Sometimes when the lender receives a payment that is outside of the monthly cycle, they may not know what to do with it. Make a special note and keep track of the payments yourself, so you can make sure they’ve been applied to your principal. Even increasing your monthly mortgage payment by a small amount may take years off the length of your mortgage. Consider how much additional you can afford to pay every month rather than just the minimum required payment amount. Many lenders offer accelerated, bi-weekly mortgage payment programs which can reduce your loan term by several years, saving mortgage interest over the life of the loan. These are just a few techniques you can use to pay off your mortgage more quickly. Remember, the fewer years you pay on your home loan, the less mortgage interest you will pay over time. Mortgage rates worsened last week in response to more indications that the U.S. economy and global economic trends are improving. Global economic data was stronger than expected; which generally boosts investor confidence and leads to higher mortgage rates in TX and across the country. According to Freddie Mac, the average rate for a 30-year fixed rate mortgage was 3.53 percent with borrowers paying all of their closing costs and 0.8 percent in discount points along with a full complement of closing costs. The U.S Department of Commerce reported that Factory Orders for December improved over November; they rose from 0.0 percent in November to 1.89 percent in December, but fell short of Wall Street’s expectation of 2.5 percent. The ISM Services Index for January was released Tuesday and fell to 55.2 from December’s reading of 56.1 and was slightly higher than against investors’ expectations of 55.0. Readings above 50 indicate expansion of the service sector of the economy. The ISM Services Index is also an indicator of future inflationary pressure. On Wednesday, the National Association of Home Builders (NAHB) released its NAHB/First American Improving Markets Index (IMI), which provided good news for housing markets in all 50 states and Washington, D. C. Metro housing markets surveyed showed expansion of improving markets for the sixth consecutive month. 259 of the 361 metro areas surveyed in the IMI showed improvement in February. By comparison, only 12 improving metro markets were reported for September of 2011. Increasing home prices and mortgage rates suggest that now may be the time for buying a home. The weekly Jobless Claims report released on Thursday indicated that 366,000 new claims were filed, which was higher than Wall Street’s estimate of 360,000 new jobless claims, but lower than the previous week’s 368,000 new jobless claims. The best economic news for last week came on Friday, when the U.S. trade deficit fell to its lowest level since January 2010. The Trade Balance Report for December shows the trade deficit at -$38.5 billion against expectations of -$46 billion and November’s deficit of -$48.7 billion. While a great boost for the economy, this is another indicator that recent low mortgage rates and home prices may soon become history. Economic News scheduled for this upcoming week includes U.S. Treasury Auctions set for Tuesday, Wednesday and Thursday. Retail Sales for January will be released on Wednesday and watched closely by investors. Retail sales account for approximately 70 percent of the U.S. economy and are viewed as a strong indicator of the economy’s direction. Jobless Claims on Thursday, Industrial Production and Consumer Sentiment on Friday round out the week’s economic reports.